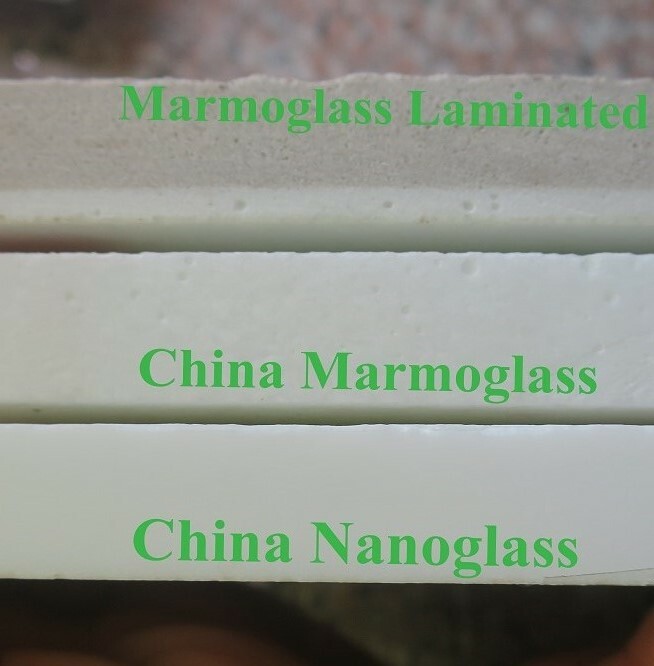 Nano Crystallized Glass-welcome to china marmoglass, nanoglass, nano crystallized glass panel crystallized glass panel,crystallized white stone,white marble,minicrystal stone. Nano glass is made of natural materials as ordinary glass but it is much harder than ordinary glass. It is a combination of silica and other natural minerals heated to 1800 degrees Celsius and molded into slabs or other shapes. Nano glass commonly also known as nano-crystallized glass, nano-crystal stone and nonporous marmoglass. It can be used for Interior & Exterior: wall cladding, counter tops, vanity tops, column cladding, table tops, stairs, floor tiles, bars tops, moldings, furniture decorations etc. Nano glass is used for countertops, vanity tops, tabletops, shower walls, flooring and wall tiles, windowsills, stairs, wall and column cladding, sinks, basins, furniture decoration, etc. Nano glass slabs standard thickness ranges from 10mm to 30mm. Features of Nano Crystallized Glass are as follows. The available color: White, Wood, Carrara ect.